From our smallest Beginners to our World Qualifiers, team Kilkenny brought the house down with their performance at the St. Patrick’s Day Festival on the Grote Markt in The Hague. 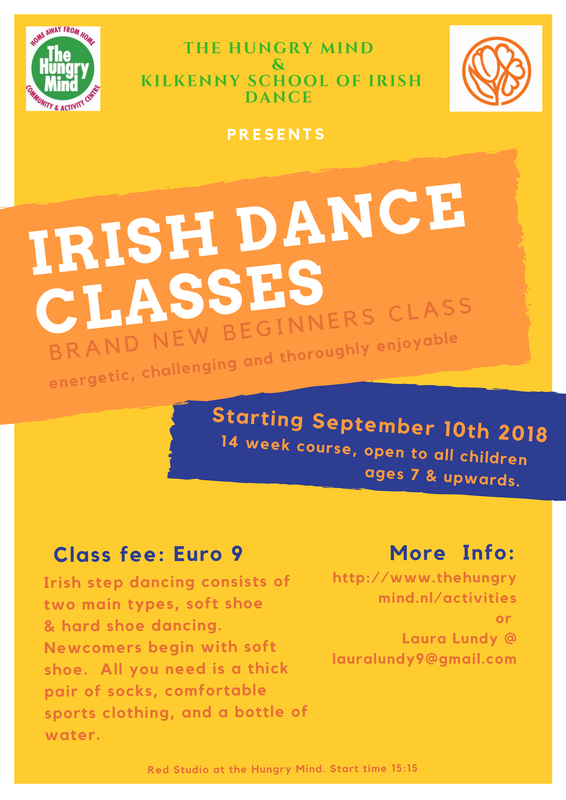 It’s wonderful to see The Hague embracing the Irish culture, and it is a highlight for both dancers and teachers every year. Thanks to the Irish Club Netherlands and the Grote Markt for organzing and hosting such a fantastic event. We are already looking forward to next year’s performance. On the 8th of December, our senior dancers brought the house down in Leiden with their performance at the Annual International Military Christmas Tattoo. On the 3rd of November our senior Kilkenny dancers performed at the benefit Lions Club function in Rijswijk, where they also met the Irish Ambassador to the Netherlands Kevin Kelly who also is a dab hand at pointing the toe. This Saturday, Kilkenny School of Irish Dance will perform at the Bridging Culture Festival at the Vaillant Theatre, Den Haag. During the festival, you can enjoy music, fashion, food and culture from around the world. Tickets available at the door. We hope to see many of your there. Op 27 oktober kan je genieten van een zeer divers programma bij The Hague Bridging Cultures Festival! Het festival promoot een gevoel van gemeenschap trots en respect voor culturele diversiteit. Tijdens het festival kan je kijken en luisteren naar muziek, mode, culinair, kunst & cultuur, poëzie en drama. Ook zijn er workshops van ondernemerschap, diversiteit en inclusiviteit. Afrobeats Party door DJ Eddy! Kaarten zijn te koop aan de deur. Starting September 10th a new beginners class for children will start at The Hungry Minds in The Hague. You can sign up via the Hungry Minds website. If you would like to know more please contact us or Laura.